Title: 'Sicilia Insula'. 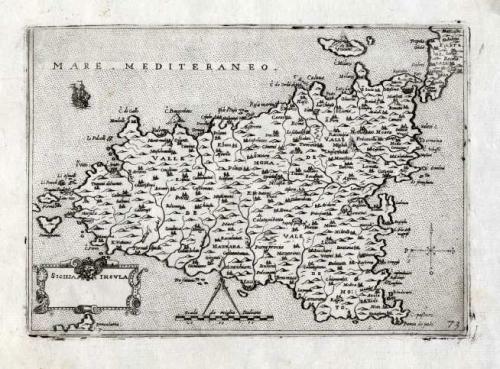 From: 'Isole Famose, Porti, Fortezze, e Terre Maritime'. City: Venice. A small printer's ink smudge in the margins, still fine.